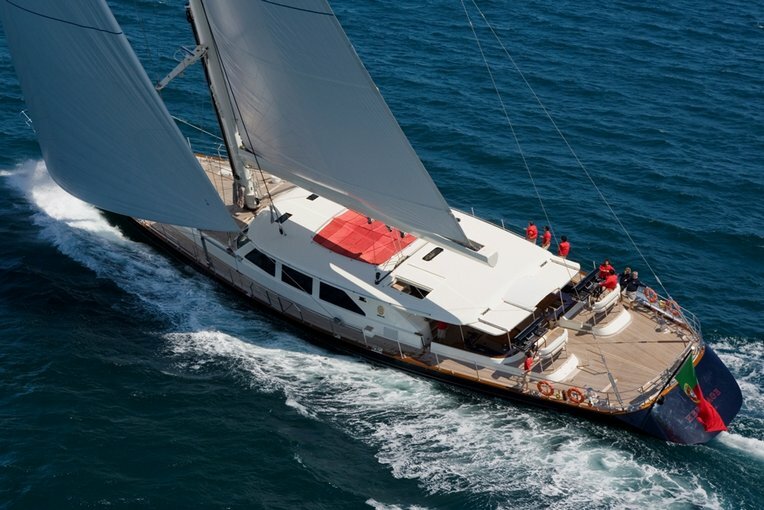 The sailing yacht HERITAGE is a 45 metre 147 (ft) spacious steel vessel which was developed at Perini Navi and concieved by Perini Navi and Ron Holland Design. A generous sloop with a cutter rig HERITAGE is a particularily high quality Italian built yacht which was launched to praise in 2006. 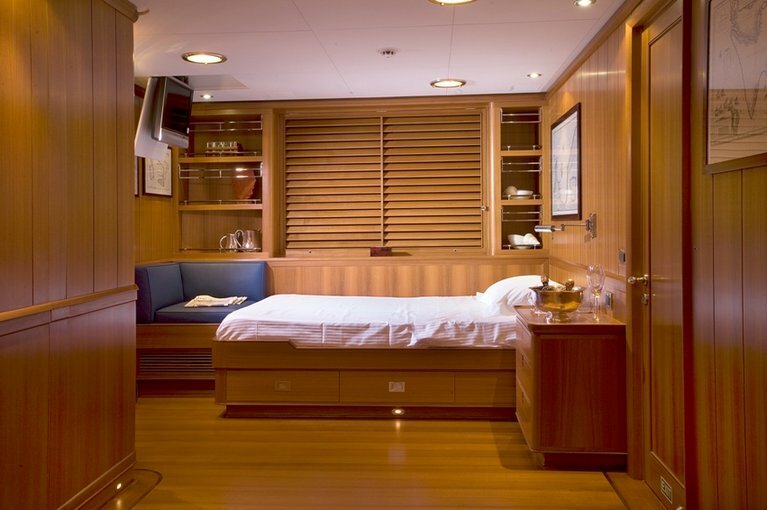 This spacious luxury sailing yacht can accommodate up to 10 passengers, 12 in case of family groups: Owner's master cabin has 2 queen size beds and her, his ensuite bathrooms and an office. 3 guest cabins with twins beds and private bathroom. Each guests cabin is equipped with LCD TV 20', satellite decoder SKY, Ipod plug in, GSM and internal telephone, mini Hi fi. Owner's cabin & studio: LCD TV 20', satellite decoder SKY, Ipod plug in, GSM and internal telephone, mini Hi fi, PC with internet connection, printer and scanner. Main saloon entertainment: plasma TV 50', satellite decoder SKY, DVD, VHS, Mp3, HI FI system, Ipod plug in, Wifi internet connection, play station 3. Notes: Usually max 10 passengers accepted for sleeping, but in case of family group, please contact us to discuss possibility of 12 passengers.